Ali N. Weiselberg, D.D.S., a lifelong resident of Fort Lee, New Jersey, is the owner of and primary dentist at North Jersey Dental Group, P.A. She has been licensed to practice in both New Jersey and New York since 2006. Dr. Weiselberg graduated from New York University College of Dentistry where she was selected to be one of a small group of students to participate in their Orofacial Pain Honors Program. Additionally, in 2011 Dr. Weiselberg completed a two-year continuing education program in surgical implant placement at New York University College of Dentistry. Dr. Weiselberg also attained her undergraduate degree from New York University. Since September, 2009, Dr. Weiselberg has served on the Board of Directors of New York University’s College of Dentistry’s Alumni Association. In 2011, Dr. Weiselberg was honored as one of the Best 50 Women In Business in the State of New Jersey by NJBIZ, New Jersey’s only weekly business journal covering the entire state. She was also named a Professional Woman of the Year by the National Association of Professional Women in 2009/2010. Since June, 2008, Dr. Weiselberg has been a Lifetime Member of the Cambridge Who’s Who Registry of Executives, Professionals and Entrepreneurs. Additionally, Dr. Weiselberg was the sole dentist to participate in the Fort Lee, NJ Health Fair in 2010 and was one of only a handful of dentists in Northern New Jersey to participate in Give Kids A Smile Day both in 2010 and 2011, respectively. Dr. Weiselberg is a clinical instructor at Hackensack University Medical Center, where she volunteers to oversee and train residents. 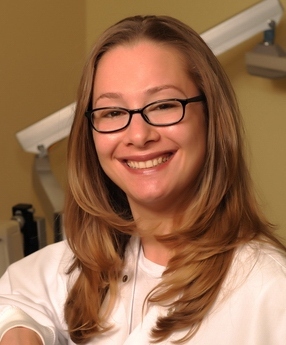 She received a Certificate of Commendation from the Center for Dentistry at Hackensack University Medical Center in 2010 in recognition of her years of commitment and dedication with assisting in a quality education for the dental residents. Dr. Weiselberg has received advanced certification in Invisalign technology along with training in Core Disaster Life Support and Advanced Cardiac Life Support. Among the organizations Dr. Weiselberg is an active member in include, but are not limited to, the following: (1) American Dental Association and North Jersey Dental Association; (2) Bergen County Dental Society; (3) Academy of General Dentistry; (4) American Academy of Cosmetic Dentistry; (5) International Congress Of Oral Implantologists; (6) International Association of Dental Research; (7) American Dental Education Association and (8) American Student Dental Association. Dr. Weiselberg, through North Jersey Dental Group, P.A., is also a member of The Greater Fort Lee Chamber of Commerce. Dr. Weiselberg’s mission is to provide high quality, comprehensive dental services on a personalized level to the adults and children of northern New Jersey and surrounding areas.